Judy Garland – American actress, singer, dancer, and vaudevillian. 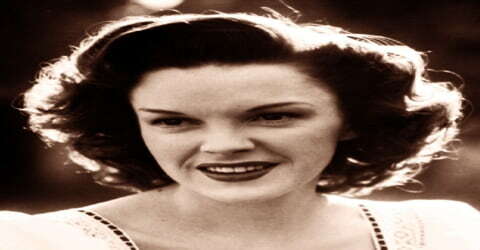 An American singer and actress whose exceptional talents and vulnerabilities combined to make her one of the most enduringly popular Hollywood icons of the 20th century, Judy Garland was born Frances Ethel Gumm on June 10, 1922, in Grand Rapids, Minnesota, U.S. A superstar who never lost her appeal, she is best remembered for her performance in The Wizard of Oz and for the song “Over the Rainbow.” During a career that spanned 45 years, she attained international stardom as an actress in both musical and dramatic roles, as a recording artist, and on the concert stage. Respected for her versatility, she received a Juvenile Academy Award, a Golden Globe Award, and a Special Tony Award. Garland was the first woman to win the Grammy Award for Album of the Year for her live recording Judy at Carnegie Hall (1961). Garland was one of the most iconic actresses of Hollywood’s Golden Age, lighting up movie screens with her talent and charm. Mention the name ‘Dorothy’ anywhere in America and the image of a 16-year-old Judy in a blue and white gingham dress comes to mind – 75 years after the original theatrical release into American movie houses. Her talent was not limited to the silver screen, however, as she crossed into Broadway, music, and television. But, most importantly, Judy Garland was more than her screen persona. She was a daughter, sister, wife, lover, and mother. Sadly, for as much joy as she gave theatre goers, her life did not reflect the same. Troubled and haunted, the American icon battled personal demons throughout her career. Judy Garland was and is an American treasure. Her talent was a gift that she shared with the world, and her impact can still be felt today. But, her life also illustrates the struggles of working in a fantasy world while still living in the real world. Ultimately, she succumbed to those demons, and the world lost an amazing gift. Although her film appearances diminished thereafter, Garland went on to receive a nomination for the Academy Award for Best Actress for her performance in A Star Is Born (1954), and a nomination for Best Supporting Actress for her role in Judgment at Nuremberg (1961). She also made record-breaking concert appearances, released eight studio albums, and hosted her own Emmy-nominated television series, The Judy Garland Show (1963–1964). At age 39, Garland became the youngest and first female recipient of the Cecil B. DeMille Award for lifetime achievement in the film industry. In 1997, Garland was posthumously awarded a Grammy Lifetime Achievement Award. Several of her recordings have been inducted into the Grammy Hall of Fame, and in 1999, the American Film Institute placed her among the 10 greatest female stars of classic American cinema. 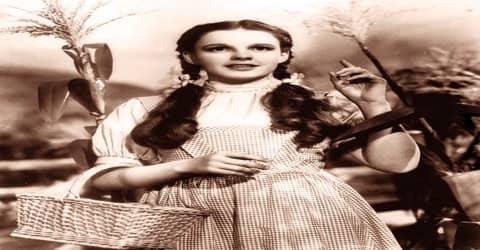 Judy Garland, original name Frances Ethel Gumm, was born to Ethel Marion (Milne) and Francis Avent Gumm, on June 10, 1922, in Grand Rapids, Minnesota, the U.S. The youngest of three girls, she was introduced to the entertainment industry early on by her parents who were vaudeville performers. Before her third birthday, Frances was added to the Gumm sisters’ dance act. Her parents were both performers and owned their own theater in Grand Rapids, called The New Grand Theater. Judy had her first performance on that stage when she was just two and a half years old. Judy did not have a happy childhood because her mother forced her to be on stage from such an early age. Her father was also gay in a time when it was very difficult, to be honest about your sexuality and so had affairs with many men, which forced their family to move often and sometimes live out of their car. The family relocated to Lancaster, California, in June 1926, following rumors that her father had made sexual advances towards male ushers. Frank purchased and operated another theater in Lancaster, and Ethel began managing her daughters and working to get them into motion pictures. By age six Judy Garland was a veteran performer, appearing with her two older sisters in a vaudeville act. After her father’s health declined, the sisters’ act soon became the primary source of income for the family. Mistakenly billed as “The Glum Sisters” in 1931, the sisters, at the suggestion of a fellow performer, changed their stage name to Garland (the name of a then-popular drama critic). Shortly thereafter, at her own insistence, Garland changed her first name from Frances to Judy (after a popular song of the day). 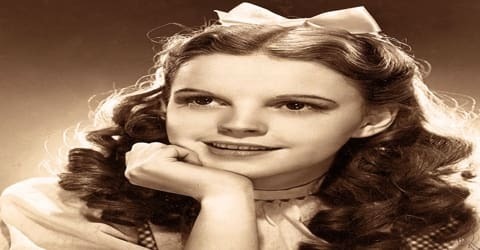 Judy Garland continued to perform as a child, and in 1935, when she was just 13 years old, Judy was signed to be an actress with MGM studios, which is still a popular studio today. Garland attended Hollywood High School and later graduated from University High School. Judy Garland was married five times and had several affairs. She had one daughter, Liza, with husband Vicente Minnelli. With husband, Sidney Luft, she had a son, Joey, and a daughter, Lorna. Judy Garland lived a very busy, hectic life from a very young age since she did so many performances and had so many acting roles. This caused her to have chronic or ongoing, stress and health issues throughout her life. She also was given pills to keep her weight steady as a teenager, and this began her issues with drug and alcohol dependence. Judy Garland was a lifelong and relatively active Democrat. During her lifetime, she was a member of the Hollywood Democratic committee, and a financial, as well as moral, supporter of various causes, including the Civil Rights Movement. She donated money to the campaigns of Democratic presidential candidates Franklin D. Roosevelt, Adlai Stevenson II, John F. Kennedy, and Robert F. Kennedy, and Progressive candidate Henry A. Wallace. In 1928, the Gumm Sisters enrolled in a dance school run by Ethel Meglin, proprietress of the Meglin Kiddies dance troupe. They appeared with the troupe at its annual Christmas show. Through the Meglin Kiddies, they made their film debut in a short subject called The Big Revue (1929), where they performed a song-and-dance number called “That’s the good old sunny south”. This was followed by appearances in two Vitaphone shorts the following year: A Holiday in Storyland (featuring Garland’s first on-screen solo) and The Wedding of Jack and Jill. They next appeared together in Bubbles. 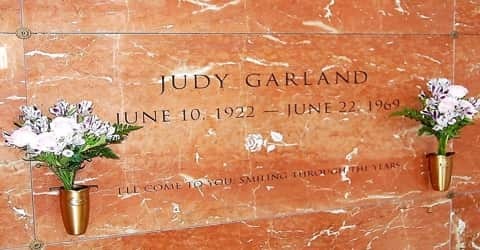 In 1932 by that time a 10-year-old singing sensation Judy Garland received her first rave review from the entertainment news magazine Variety, and two years later, at the suggestion of the comedian George Jessel, she adopted the surname Garland. She chose the first name Judy shortly thereafter, from the popular 1934 Hoagy Carmichael song of that name. In September 1935, Judy Garland was signed by the world’s largest motion-picture studio, Metro-Goldwyn-Mayer (MGM), without a screen test. There was some uncertainty at the studio on how to use her talents. A year passed before she made her first MGM film, a two-reeler. Her first film appearance as a contract player for MGM was in the short Every Sunday (1936). By late 1934, the Gumm Sisters had changed their name to the Garland Sisters. Frances changed her name to “Judy” soon after, inspired by a popular Hoagy Carmichael song. The group broke up by August 1935, when Suzanne Garland flew to Reno, Nevada, and married musician Lee Kahn, a member of the Jimmy Davis orchestra playing at Cal-Neva Lodge, Lake Tahoe. Judy Garland’s first appearance in a feature did not come until 1937 when she was loaned to another major studio, Twentieth Century-Fox. That same year at an MGM party for its star Clark Gable (1901-1960), Garland was a hit singing a specialty number, “Dear Mr. Gable,” which was adapted from the well-known standard “You Made Me Love You.” As a result, she and the song were used for the 1937 feature Broadway Melody of 1938. Again she earned praise within the industry. Despite the war overseas, the dedicated performer continued her work. Three movies ‘Andy Hardy Meets Debutante’, ‘Strike Up the Band’, and ‘Little Nellie Kelly’ were released in 1940. In 1941 also three movies ‘Ziegfeld Girl’, ‘Life Begins for Andy Hardy’, and ‘Babes on Broadway’ premiered in theatres nationwide. As the war intensified, film production slowed down due to the scarcity of personnel. The only movie where Judy performed in 1942 was ‘Me and My Gal’. The following year her movie ‘Presenting Lily Mars’ and ‘Girl Crazy’ entertained audiences. During the 1940s Garland graced a number of outstanding musicals, including Meet Me in St. Louis (1944), The Harvey Girls (1946), and Easter Parade (1948). She was superb in a non-singing role in The Clock, a pleasant drama about a young girl and a serviceman on leave. Once a professional talent and hard worker, Garland became a problem artist during the 1940s. The filming of In the Good Old Summertime (1949) was repeatedly delayed, as was Summer Stock (1950). A pattern had been set that would increasingly set back her career. She was replaced in a number of films and finally was fired by MGM in 1950. Garland was a smashing success at the Palladium in London, England, at the Palace Theatre in New York City, and elsewhere. The Clock (1945) was Garland’s first straight dramatic film; Robert Walker was cast in the main male role. Though the film was critically praised and earned a profit, most movie fans expected her to sing. She did not act again in a non-singing dramatic role for many years. Garland’s other films of the 1940s include The Harvey Girls (1946), in which she introduced the Academy Award-winning song “On the Atchison, Topeka, and the Santa Fe”, and Till the Clouds Roll By (1946). ‘The Pirate’ and ‘Easter Parade’ debuted in 1948. ‘Easter Parade’ teamed Judy with Fred Astaire for the first time. ‘In the Good Old Summertime’ in 1949 and ‘Summer Stock,’ the following year were the last two movies she made with MGM. She lost her contract with MGM after the release of ‘Summer Stock’, owing to her behavioral disorders resulting from drug addiction. Judy Garland continued to act in movies throughout the 1950s and early 1960s, and one of her most famous moments was when she starred in the musical A Star is Born in 1954. This was a three-hour musical that showcased her talents in acting, singing, and dancing. She also had a TV show called The Judy Garland Show that aired in 1963 and 1964. Her comeback was capped with the Warner Bros. musical A Star Is Born (1954), a three-hour showcase for all of Garland’s talents. It was in this film, the last of the three with which she is most associated, that Garland’s persona achieved maturity. Pitted against Dorothy Dandridge (Carmen Jones), Audrey Hepburn (Sabrina), Jane Wyman (Magnificent Obsession), and Grace Kelly (The Country Girl) for the best actress Oscar that year, Garland was favoured to win, but she lost to Grace Kelly in what comedian Groucho Marx called “the greatest robbery since Brinks” (a reference to the 1950 robbery of the Brinks Building in Boston, which was then the largest U.S. armed robbery). Notwithstanding her troubles, Garland undertook a highly successful concert tour in 1961, which was capped by an enthusiastically received concert at New York City’s Carnegie Hall. The live recording of that event sold over two million copies. That same year she earned an Oscar nomination for best-supporting actress for her dramatic performance in the film Judgment at Nuremberg. She had another non-singing role in the British film A Child Is Waiting (1963). Her last film role was in another British film, I Could Go On Singing (1963). Garland had made a well-received television debut in 1955 on the Ford Star Jubilee and had done well in other guest appearances. Unfortunately, her long-awaited television weekly series did not fare well, and CBS canceled the variety show after one season (1963–1964). Her film career has long overshadowed her success as a recording artist, but from 1936 to 1947 she cut more than 90 tracks for Decca Records, and she made a dozen record albums for Capitol Records between 1955 and 1965. Garland frequently made the best-seller charts from 1939 to 1967, working with such top arrangers as Mort Lindsey, Nelson Riddle, Jack Marshall, and Gordon Jenkins. These recordings reveal her sensitivity and intelligence as an interpreter of popular song. Judy Garland appeared in a number of television specials beginning in 1955. The first was the 1955 debut episode of Ford Star Jubilee; this was the first full-scale color broadcast ever on CBS and was a rating triumph, scoring a 34.8 Nielsen rating. She signed a three-year, $300,000 contract with the network. Only one additional special was broadcast in 1956, a live concert-edition of General Electric Theater, before the relationship between the Lufts and CBS broke down in a dispute over the planned format of upcoming specials. In 1956, Garland performed for four weeks at the New Frontier Hotel on the Las Vegas Strip for a salary of $55,000 per week, making her the highest-paid entertainer to work in Las Vegas. At the beginning of 1960, Judy Garland signed a contract with Random House to write her autobiography. The book was to be called The Judy Garland Story and would be a collaboration with Fred F. Finklehoffe. Garland was paid an advance of $35,000, and she and Finklehoffe recorded conversations about her life to be used in producing a manuscript. Garland would work on her autobiography on and off throughout the 1960s but never completed it. Portions of her unfinished autobiography were included in the 2014 biography, Judy Garland on Judy Garland: Interviews and Encounters by Randy L. Schmidt. Her concert appearance at Carnegie Hall on April 23, 1961, was a considerable highlight, called by many “the greatest night in show business history”. The two-record album Judy at Carnegie Hall was certified gold, charting for 95 weeks on Billboard, including 13 weeks at number one. It won four Grammy Awards, including Album of the Year and Best Female Vocal of the Year. During the mid- to late 1960s, Judy Garland concentrated on concert performances and made appearances on the top television variety and talk shows of the day. A month-long third engagement at the Palace Theatre resulted in another popular album, At Home at the Palace (1967). Garland continued working until her death at age 47 by accidental barbiturate overdose. By early 1969, Garland’s health had deteriorated. She performed in London at the Talk of the Town nightclub for a five-week run in which she was paid £2,500 per week, and made her last concert appearance in Copenhagen during March 1969. Judy Garland received a special Oscar in 1940 for ‘Best Performance by a Juvenile Actor’ in ‘The Wizard of Oz’. In 1962, Garland was presented with the ‘Cecil B. DeMille Lifetime Achievement Award’ at the ‘Golden Globe Awards’. Judy Garland was posthumously awarded the Grammy Lifetime Achievement Award in 1997. Several of her recordings have been inducted into the Grammy Hall of Fame. In 1999, the American Film Institute placed her among the 10 greatest female stars of classic American cinema. 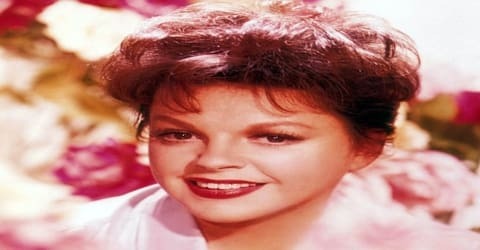 On June 22, 1969, Deans found Judy Garland dead in the bathroom of their rented mews house in Cadogan Lane, Belgravia, London; she was 47 years old. At the inquest, Coroner Gavin Thurston stated that the cause of death was “an incautious self-overdosage” of barbiturates; her blood contained the equivalent of 10 1.5-grain (97 mg) Seconal capsules. She is buried in Hartsdale, New York. Judy Garland was a superstar who, as one critic pointed out, “managed the considerable feat of converting herself into an underdog.” Despite all the lows in her life she remained immensely popular and had an appeal that was never entirely lost. The 1939 movie ‘The Wizard of Oz’ starring Judy was a huge financial success and it grossed over $3,000,000. The movie received several Academy nominations including Best Picture, Best Song, Best Score, Best Art Direction, and Best Cinematography. The 1954 movie ‘A Star Is Born’ was another blockbuster featuring Judy. The movie grossed $6,000,000. The film garnered several nods from the film community including Best Costume, Best Art Direction, Best Actor, Best Supporting Actor, Best Song, and Best Score. Garland’s live performances towards the end of her career are still remembered by fans who attended them as “peak moments in 20th-century music”. Garland has been the subject of over two dozen biographies since her death, including the well-received Me and My Shadows: A Family Memoir by her daughter, Lorna Luft, whose memoir was later adapted into the television miniseries Life with Judy Garland: Me and My Shadows, which won Emmy Awards for the two actresses portraying her (Tammy Blanchard and Judy Davis). Strassler observed that Garland “created one of the most storied cautionary tales in the industry, thanks to her the many excesses and insecurities that led to her early death by overdose”.